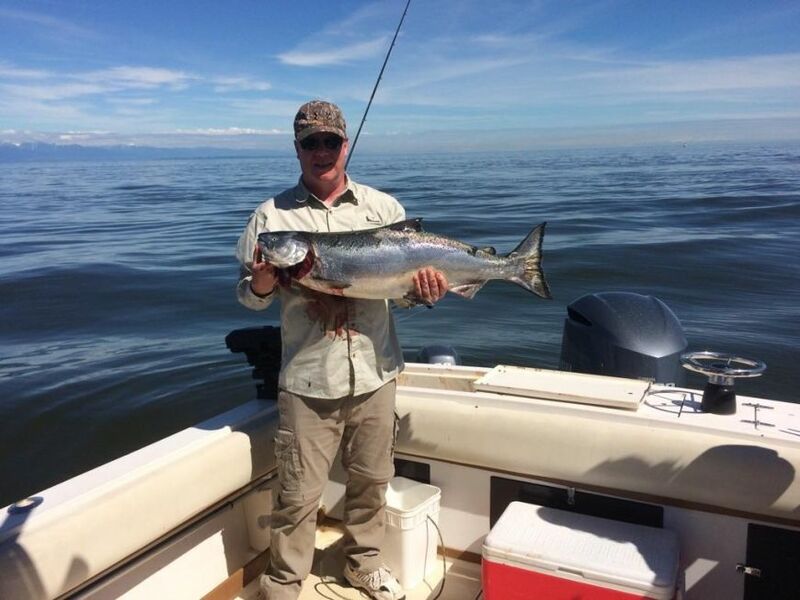 The last couple weeks have continued to provide some very good fishing over on the eastern shoreline of the Gulf Island's. The fishing is not as crazy as it was in the last 10 days of April and the first week of May, but there definitely have been some periods of good, often expolosive activity. 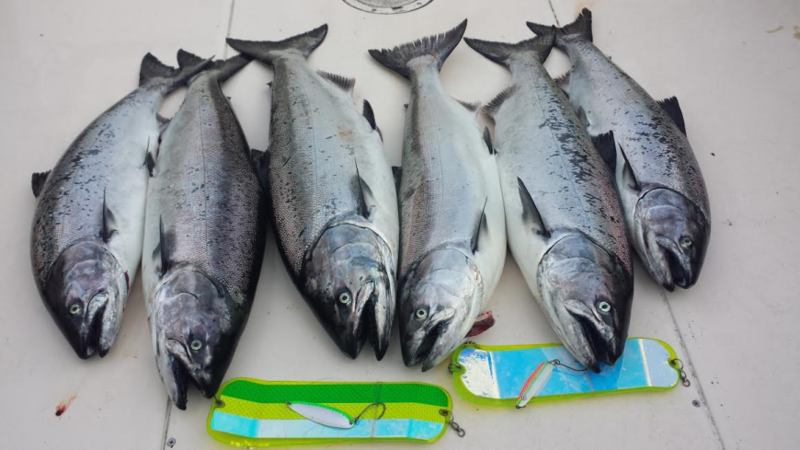 There have been some good pockets of fish on the Vancouver side as well depending on the day, tides, and weather. On most of our full day trips, we have been concentrating on the eastern shoreline of Gabriola Island. For the most part, we have been out in the deep water in 300 to 1000 feet water doing long tacks searching for feeding chinook. Most of the chinook salmon have been taken trolling from 90 to 180 feet down depending on the day. As we progress into May, we will likely see more fish start to show a little tighter to structure in 150 to 300 feet. The Vancouver side has also had some good pockets of fish. Hole in the Wall was quite productive last week, but really slowed over the weekend with only the odd fish landed. Cowan Point up to Roger Curtis in a little tighter has had some nice fish the last few days. The outer reaches of Vancouver Harbour and out off Point Grey have also been good at times over the last few days. The fishing has been better around the tide changes and days with smaller tides. We have been sticking to spoons and hootchies so far this spring. 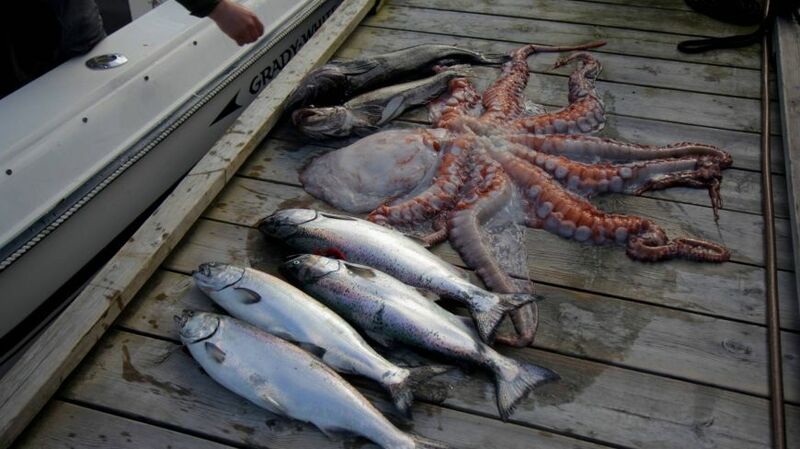 We are getting the odd fish on anchovies, but Skinny G's have been out producing bait on the Vancouver Side. The Outfitter, Bon Chovy and the new Nickel and Green Skinny G's have been our go to lures in Vancouver waters. Over on the Gulf Island side, we have been running a mix of spoons and hootchies. Our favourite spoons have been the Silver Horde Irish Cream and Kitchen Sink, G Force Trailhead and Bon Chovy and the same Skinny G's as the Vancouver sides. We have been running a lot of hootchies too, especially in the strong currents. Yamashita spacklebacks in green and chartruese and a basic glow have been very effective as usual. 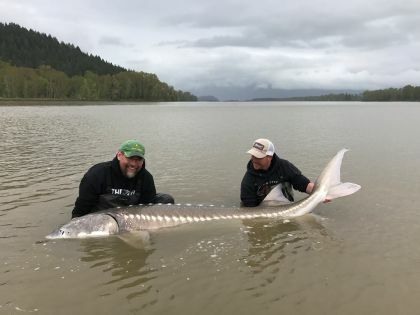 Sturgeon fishing has been ok this week despite the rising levels of the Fraser River. 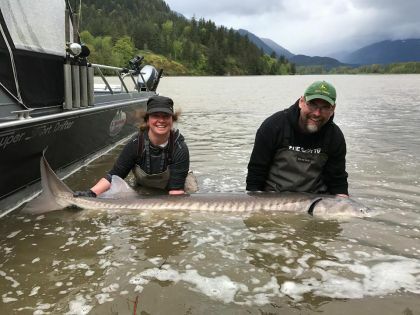 Sturgeon fishing is always a good freshwater option, especially once the river levels subside in a couple months! We have continued to explore and capture the Salish Sea with our friend and talented film maker Corbie Fieldwalker (www.corbiefieldwalker.com) this spring! We have recently returned from a multi day trip fishing and cruising the offshore waters of Georgia Strait and transiting the protected passages of the Gulf Island's. We are looking forward to the release of this video next month! Check out our past fishy video projects on our Youtube channel www.youtube.com/user/bonchovy1. If you are looking to get out on the water, we are recommending full day trips right now if you have the time! This gives us the option to run over to the Gulf Island's if the fishing and weather conditions permit! It is looking like it is going to be a productive spring and early summer season!